The Autism Society Philippines is composed of 13,000 individuals, spread across 93 chapters in Luzon, Visayas and Mindanao, as of March 2018. The general membership has grown exponentially over the last two years. The volume persons with autism who have joined the ASP advocacy has jumped 66 percent in the first quarter of 2018 alone! Because of these developments, the ASP National leadership is taking active efforts to ensure ASP is able to support our growing membership, as we turn 30 years old in 2019. 1) Joyla Ofrecia (top left) is the Cluster Head for North Luzon. This mother of two is an ASP National Trustee, President of ASP City of San Fernando Pampanga and Program Director of Noah Autism Resource Center. She has earned her Master’s Degree in Special Education from Angeles University Foundation. She conducts training to parents and professionals and orientations to different organizations and institutions on autism. 2) Mary Janette I. Peña (top right) is the Cluster Head for South Luzon. Jan is one of the tireless movers behind the meteoric rise in the numbers of ASP chapters nationwide. She has served as ASP National Presidentd and Chapter President for Dasmarinas and Bacoor. Jan’s commitment to the national autism advocacy has earned -- together with her husband Al and kids Thea, Muneer (an adolescent with autism) and Milli -- the coveted Jollibee Family Values Award in 2015. She served as the Executive Director of ASP until February 2018. 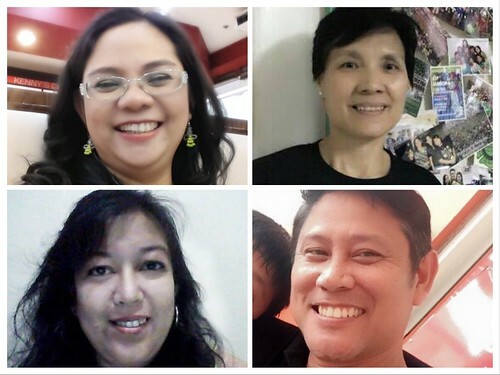 3) Marivic Ramos (bottom left) is the Cluster Head for Visayas and Mindanao. This native of Davao is an ASP National Trustee and the current Vice-President of ASP Laguna Chapter. Marivic is a pillar of the autism advocacy community in Los Baños, immersing herself in special education and training and empowerment programs over the years. She is a single mother to a young adult with autism, Mico. 4) Cenin Faderagao (bottom right), ASP National Program Coordinator, is the OIC for the Metro Manila clusters, until the rosters and leadership assignments are finalized. The Autism Society Philippines aspires to be responsive to the needs of the membership and usher projects and programs that are relevant to PWAs and families who live with autism -- powered by engaged parents and passionate volunteers. To contribute to our family-centric autism advocacy, you may fill out the application form at http://bit.ly/asp-join.